Login or Sign up to view the full website. Some features are members only. Serves/served as a Flight Crew Member and holds/held a seniority number at a FAR Part 121 or 129 Air Carrier or ICAO equivalent and possesses an Airline Transport Pilot Certificate or ICAO equivalent. This includes retired and medically retired airline pilots of course! of an FAR Part 121 or 129 Air Carrier. Non-U.S. applications shall reflect corresponding qualifications. why do we have to pay dues to join? We've found that is the best way to attract great applicants for our scholarships is to pay for a booth at the "Women in Aviation" conference. we also do our scholarship interviews at WAI, but WE don't announce the winners there, as it is cost prohibitive... we would rather give out an extra scholarship to a deserving woman! We work hard to keep our costs down, and board members do not get paid or compensated, although we do pay for hotel rooms at WAI, conference, and IFALPA...but only a portion. We pay for an accountant and a bookkeeper, as well as a website. 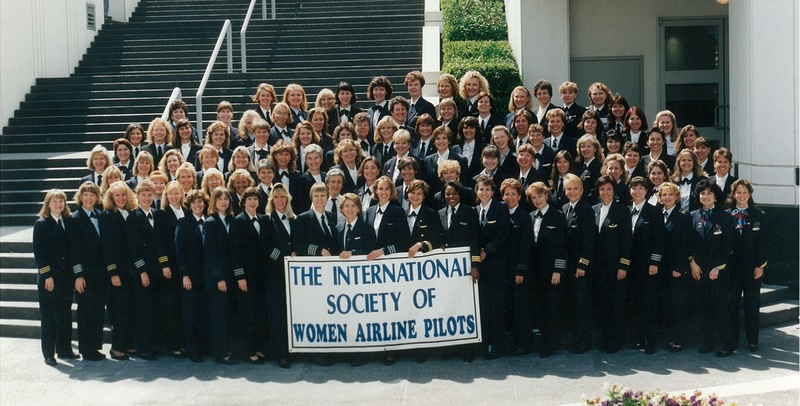 When you join us you are supporting our scholarship program, education and camaraderie among women airline pilots. We are a nonprofit 501(c)3.